Get out into the forest and get to know springs like you’ve never seen them before! Springs are among the most ecologically and biologically diverse, yet most threatened, natural areas on earth. In the arid landscape of the Southwest, understanding the health of springs can better inform land management decisions. The Four Forest Restoration Initiative (4FRI) is the largest restoration project in the history of the U.S. Forest Service. The initiative area is approximately 2.4 million acres and extends from the south rim of the Grand Canyon to the Arizona-New Mexico state line. The primary goal of 4FRI is to re-establish and restore the health and function of ponderosa pine forests. This would increase forest resiliency to natural disturbances such as wildfires and climate change. Restoring and maintaining the health of areas around rivers, streams, and springs is a key component of supporting a properly functioning forested area. Springs and streams have been specifically identified for restoration by 4FRI. The springs assessments will be conducted in collaboration with the Forest Service. Citizen scientists will hike through ponderosa pine forests along the Coconino and Kaibab national forests to locate and evaluate the condition of springs and the surrounding habitat. This information will be a key component in the process that prioritizes future restoration activities surrounding water sources within the Four Forest Restoration Initiative. Springs with impaired function may be restored to improve water quality and quantity. Heatlhy water sources support wildlife in and around rivers, streams, and springs. This trip is open to those with Spring Stewards training. If you have experience with plant identification, water-quality monitoring, or other data collection skills, please let us know! Learn more information about the protocols you will use. We ask that participants become a member of the Grand Canyon Trust with a $50 donation. Trips are free for current members. Be sure to submit a Volunteer Application Form to secure your spot on the trip. Meet at 1:00 p.m. MST at the Dogtown Lake Campground near Williams, Arizona. We will set up camp, complete a project orientation, and get to know each other. If time allows, we will hold a brief springs training and begin fieldwork in the afternoon. Then, enjoy a walk around the lake and a delicious dinner prepared by our staff. Wake up early. Coffee and breakfast served at 7:00 a.m. Split into teams and conduct fieldwork from 8:00 a.m. to approximately 5:00 p.m., with a midday lunch break. Return to camp for sunset, dinner, discussions, any necessary data entry, stargazing, and free time. Wake up early. Coffee and breakfast served at 7:00 a.m. Finish any necessary fieldwork. Then we'll pack up, have a trip wrapup, and you can head off to your next adventure. If you're headed back to Flagstaff, return to our office by approximately 10:00 a.m. and help input data from the springs you assessed this week, so Forest Service managers can start prioritizing restoration! We will have a car camping base camp for four nights, utilizing the Dogtown Lake Campground near Williams, Arizona. Water and pit toilets will be available. The Trust provides: All meals, snacks, field equipment, and tools. Participants provide: Personal transportation, camping and day-hiking gear for the week, work clothes, wide-brimmed hat, sunglasses, footwear that can get wet, rain gear and clothing for warm-to-cool days. It can get cold and/or wet at night, so please come prepared. 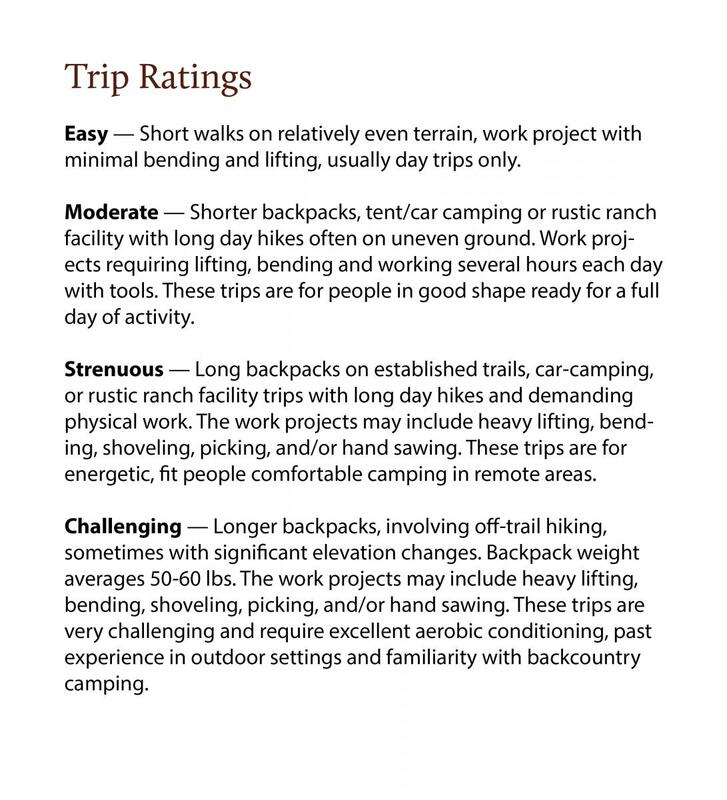 Our gear packing list will help you get prepared. We can provide limited transportation and loan gear on a first-come, first-served basis — contact us for details. 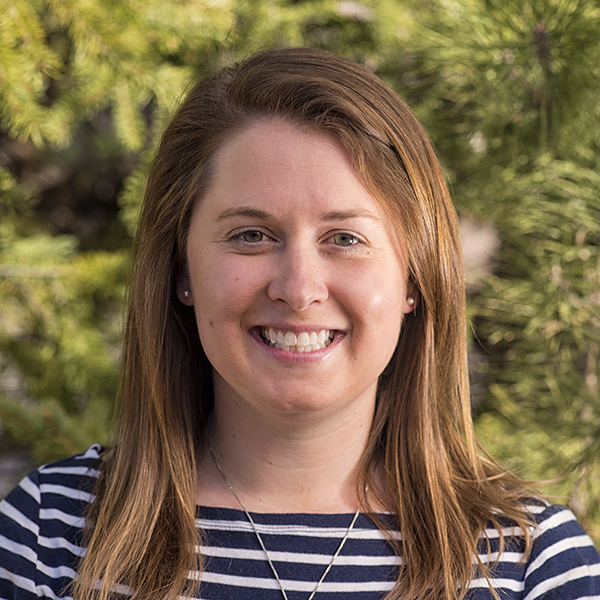 After earning a master's in aquatic ecology, Lisa moved to Flagstaff to research fish in the Grand Canyon. A passion for making science more accessible to the public led her to the Trust in 2016, where she coordinates citizen-science and stewardship trips across the plateau. To her, the best parts of a volunteer trip are the people you meet, the frogs you chase, and the Dutch oven cobbler you eat!